Winx Club Jakks Pacific Dolls Topic! Re: Winx Club Jakks Pacific Dolls! Kinda odd why they missed it out. I mean... It's not that hard to make a headband and a bunch of gloves? Sometimes getting all the fine details can be challanging. But I will admit I was somewhat suprised when it doned on me that that the dolls didn't have their gloves/arm warmers. But keep in mind how their hands are made; they can move in a full circle, thus having any materal in the way could cause issues. But I suppose like the Magic Wing Bloom doll they could have painted or somehow had them on. But wht abt Flora's hair In Charmix????? ^LOL! Looks kinda weird. Must be they mistaken it for Believix/Enchantix hair. Yes, like Gavinckss said, Flora's Charmix doll's hair is down with no pigtales (?). I did pick up the three Charmix dolls; Bloom, Stella and Flora today (among other merchandice...). There are some minor diffrences between the canon images and the previous Mattle ones, but overall they are really nice and pretty. Very pleased. I like the Jakks dolls, even though they miss some details and get Flora's hair wrong. The faces look pretty though. I understand why so many Blooms are produced since she's like the main character for the show and comic, but Why are Stella and Flora so abundant? I'd really like to see more of Tecna, Musa and Aisha. It's really sad to that Tecna and Musa don't even have dolls in the new sets either. Hey Guys! I just wanted to say that Jakks Pacific has told me due to popular demand we may be getting Aisha, Musa, and Tecna Enchantix dolls! NOTHING IS OFFICIAL YET, but it is a possiblilty. The dolls are amazing in my opinion! The only thing that I would suggest to Jakks is to find better material for the hair. The dolls would be a whole lot better if the hair material was like... the hair of a Monster High doll. The hair is a little more thick and is easier to play with. Overall, the dolls are amazing! Keep up the good work Jakks Pacific! RodimusKnight wrote: I understand why so many Blooms are produced since she's like the main character for the show and comic, but Why are Stella and Flora so abundant? I'd really like to see more of Tecna, Musa and Aisha. It's really sad to that Tecna and Musa don't even have dolls in the new sets either. I think Stella's produced a lot because she's Bloom's best friend. Not to mention she's blonde. No idea about Flora though, you'd think it'd be Aisha since her, Stella and Bloom are the trio Nick is marketing. Also. Are you on Monster High Dolls? I feel like I've seen your username before, haha and I think it was there I saw it. sailoreric97 wrote: Hey Guys! I just wanted to say that Jakks Pacific has told me due to popular demand we may be getting Aisha, Musa, and Tecna Enchantix dolls! NOTHING IS OFFICIAL YET, but it is a possiblilty. JAD2350 wrote: The dolls are amazing in my opinion! Monster High uses saran, and Jakks uses nylon. Nylon is always either SUPER gorgeous and beautiful, or super ratty and nasty. Bratz always ends up ratty and nasty with it, but take a peek at DisneyStore's dolls and you'll see what I mean in that it can be absolutely amazing. SibyllaJustice wrote: Monster High uses saran, and Jakks uses nylon. Nylon is always either SUPER gorgeous and beautiful, or super ratty and nasty. Bratz always ends up ratty and nasty with it, but take a peek at DisneyStore's dolls and you'll see what I mean in that it can be absolutely amazing. Ahh yes. As a matter a fact, I just passed by the Disney Store today. The nylon does look amazing! It's super shiny and long. I can see what you mean! But yeah, the doll's legs are also super long! I just saw the new beach dolls today and their legs are like a giraffes neck. But hey, it matches the Winx Club. They are super skinny and have long legs. 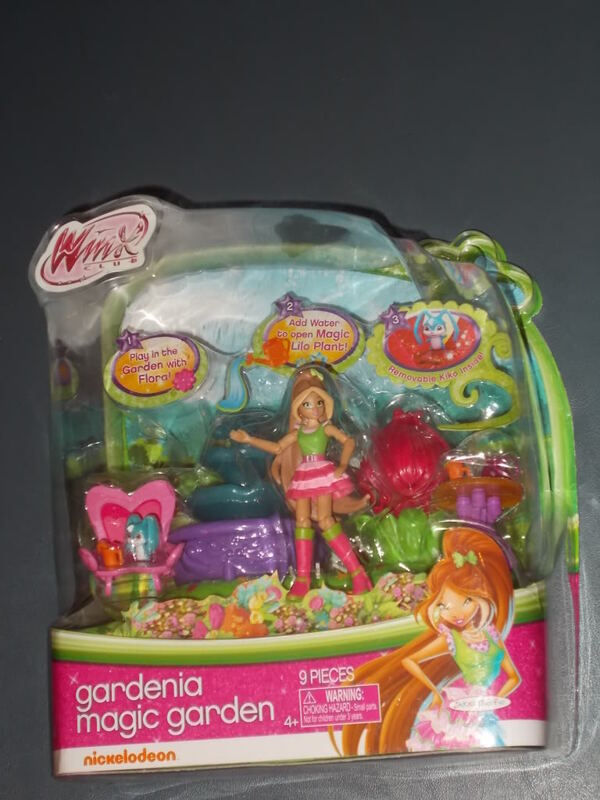 Here is an add from Argos in the Uk showing some new Winx Stuff, including the beach dolls. I really want Aisha, she is so cool! That's funny, Aisha strikes me as the least interesting. She's the only one missing a fun pattern from her swimsuit. I wonder if these are the same as the beach dolls MJ showed a while ago, just improved? It looks like it to me. 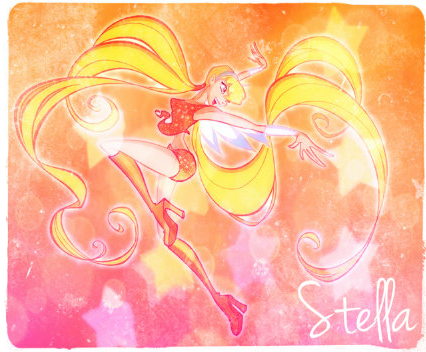 I think my favorite is Stella. I love the colors on her. Bloom's hairstyle is really cute too. Yeah, I think these are the same beach dolls MJ showed us too. I like these alot better than the promos we saw. I wish Jakks would make all of their dolls articulated :/ I mean I could say at least we have knee articulation, but we don't even get that with these basic dolls! I just love Aisha, hehe, I think she's my favorite character overall along with Stella, and Musa. Hmm... I always thought Aisha was your favorite. Considering you know, you just bought Simba Aisha Believix, you have Giochi her, you're trying to get other Giochi her, you have what... two of her Mattel Charmix? And a bunch of her Jakks. lol. I guess I don't really mind the lack of articulation, but it'd be nice. But then again it's not like they could do much in the first place. Yeah, even the deluxe arm articulation is sorta bad, I mean, it's alot better than the basic articulation, but the arms don't have nearly as much range as a Monster High doll. I guess I have just always liked Aisha, she's brave, cool, and I love her story I love Stella because she's just hilarious (maybe not so much anymore) and honestly I think I like Musa because of her dolls! They're awesome! I was super surprised when I got my first Deluxe doll and realized just how bad the articulation was. You can't even put their hands on their hips-- all you can really do it make floating fairy poses. It's weird. Mattel had more articulation and they just had wires in them. Yeah, Stella isn't very funny anymore. She's kinda a brat. I miss 4kids, nasty whiny Stella! I'm being kinda negative, but I doubt the articulation will be improved. I think if anything gets improved it'll be quality of the outfits and hair, since that seems to be what they focused on this wave with City Style, but probably didn't have the money to do with other lines.